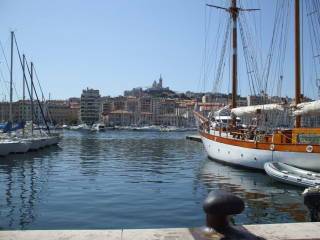 There is a wonderful drive along the coast roads from Marseille past Cassis to La Ciotat. 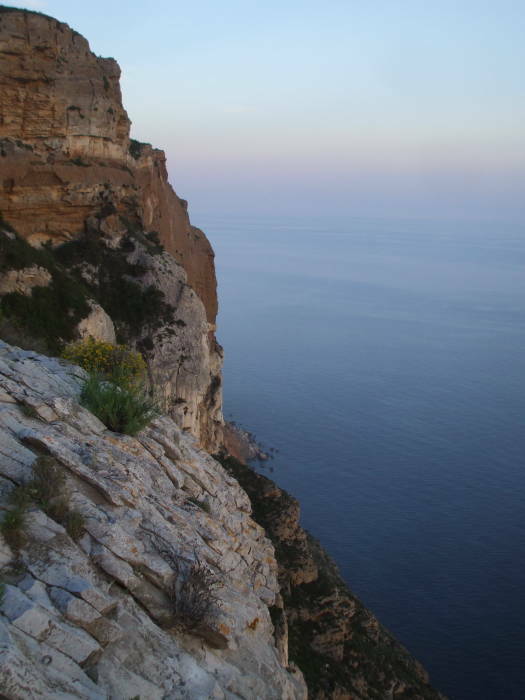 In places the route winds around the Calanques, the steep and deep rocky canyons extending down to the Mediterranean. If you've seen Transporter 3, it begins and ends in a small calanque. 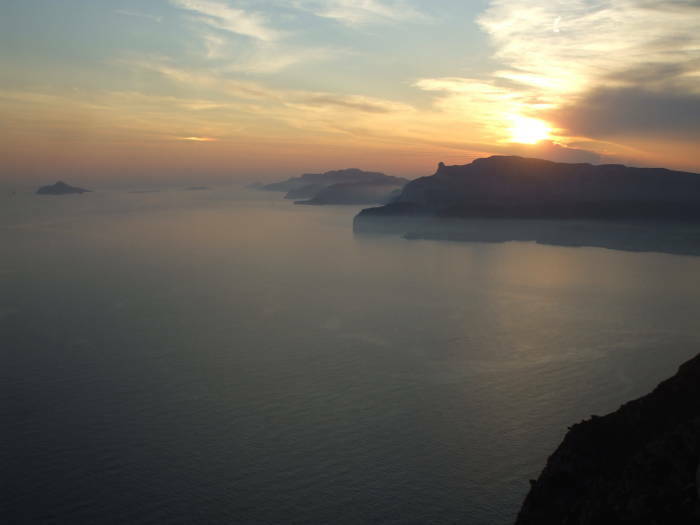 Here we are looking west, into the sunset, along the rugged coast toward Marseille. 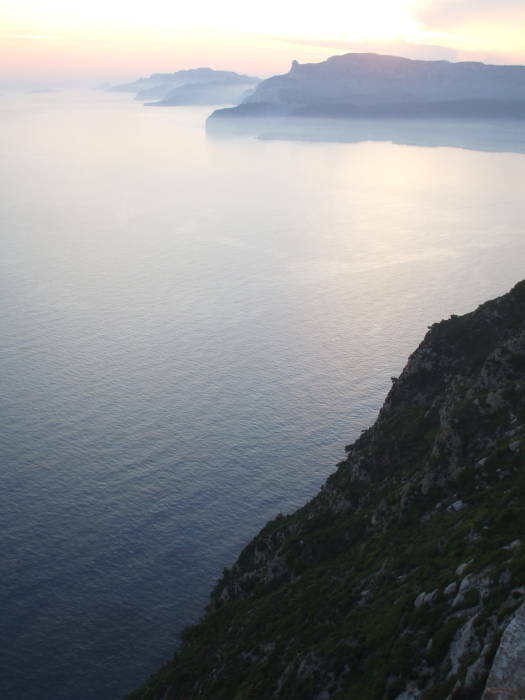 You see the openings of a number of the Calanques as the coast fades into the distant haze. 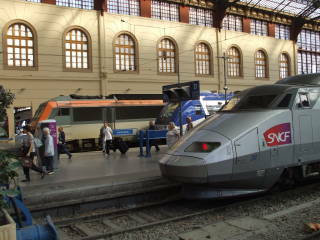 The route to take is to follow the coast road out of central Marseille near the Vieux Port. It's Corniche Président John F Kennedy within the city and it takes you past the popular beaches. 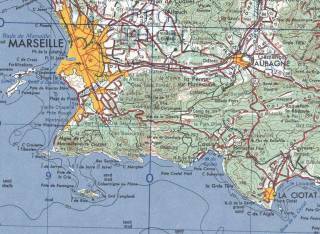 Then, somewhere around Plages du Prado, turn inland and get on the D 559 highway going first south and then turning east and leading toward Cassis and La Ciotat. That road quickly climbs to an elevation of 365 meters. The Calanques can be reached from a series of minor roads and hiking paths including GR 98, Grande Randonée 98. The harbor town of Cassis is back in one of the larger bays, the town is off to the right and not quite visible in the picture above. 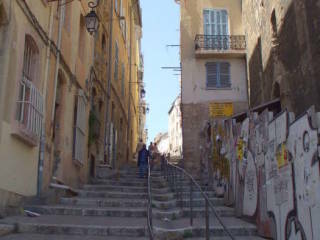 Just on the other side of the turn-offs to Cassis, turn to the right off the D 559 onto the smaller D 141 road. This high road is signposted as leading over Les Crêtes or The Crests. Notice the signs at the intersection, the road is closed during inclement weather. This can include the strong mistral wind which could make it quite hazardous to drive this high twisting road with very high drops to either side. 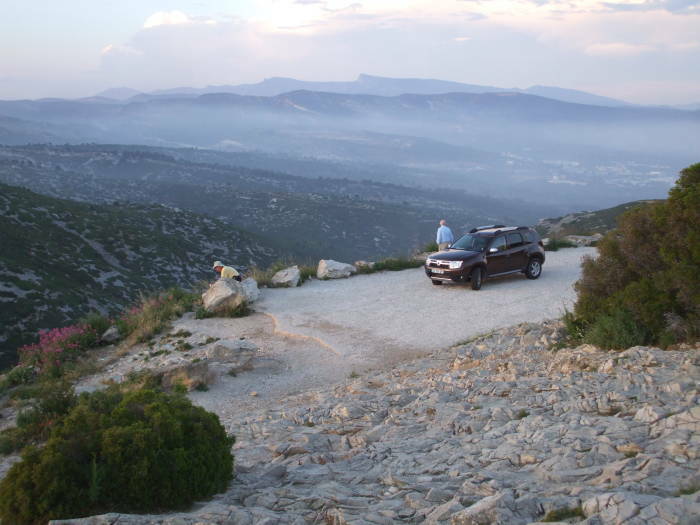 We stopped our sturdy Romanian built Dacia Duster along the way to take in the spectacular views. 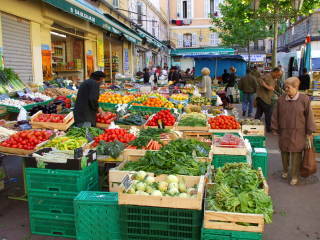 The D 141 then descends into La Ciotat, where there are many restaurants along the large and busy waterfront. 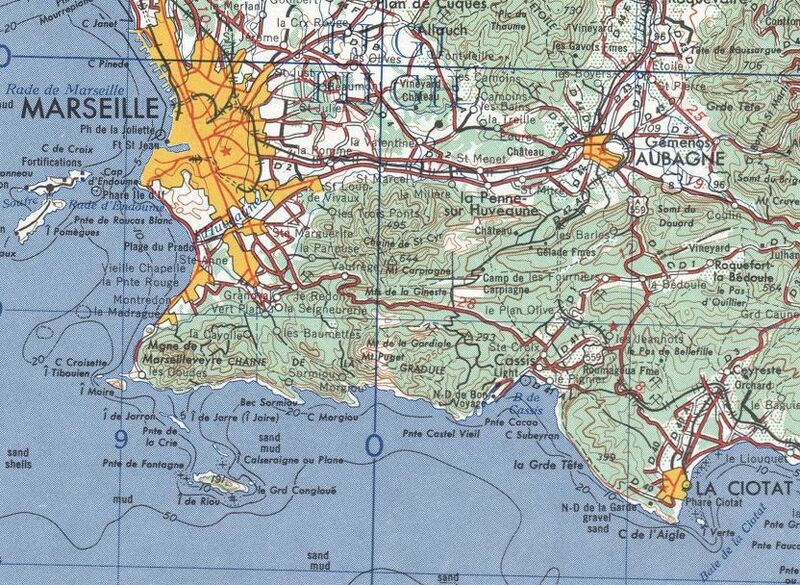 The D 559 road appears on this map as the southernmost red road leading from southern Marseille to La Ciotat. 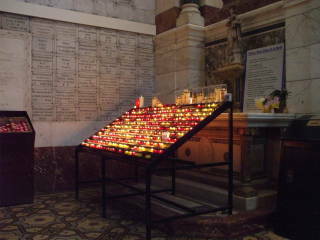 D 141, however, does not appear here. C Morgiou indicates Calanque Morgiou, where the Cosquer cave paintings from 27,000 to 19,000 BC were discovered.